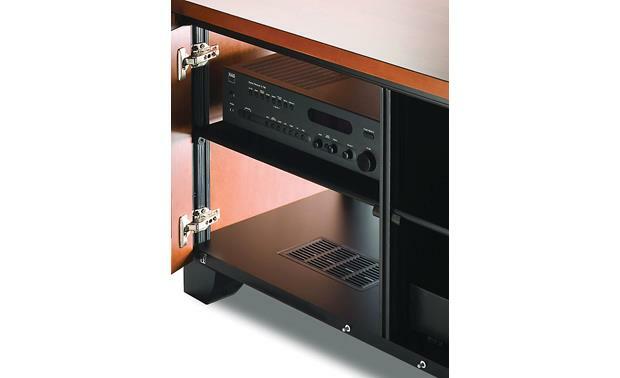 The Salamander Designs Miami 323 A/V cabinet has a contemporary tropical look. The Salamander Designs Miami 323 A/V cabinet has a contemporary tropical look. 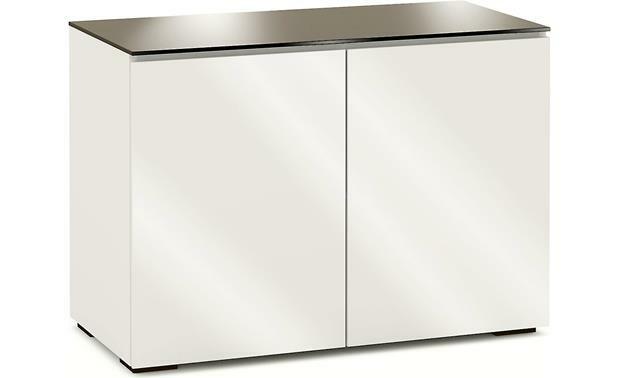 It features a gloss white finish offset by a chocolate brown tempered glass top. 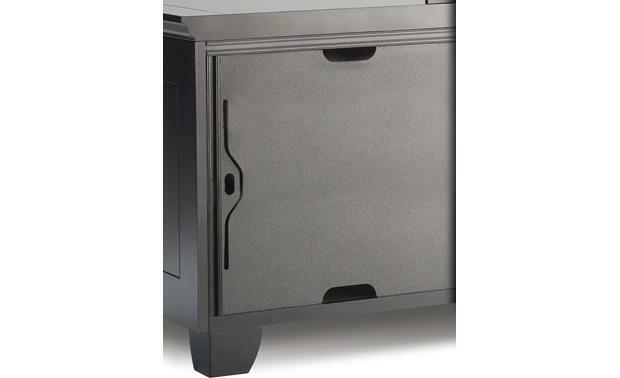 Hand-built in the USA, this cabinet has a rock-solid extruded aluminum frame that you can customize with Salamander Designs shelves, legs, and casters. 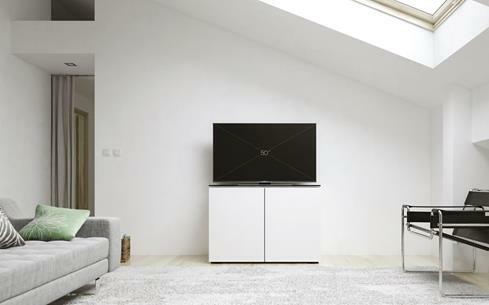 The Miami 323 can store up to 6 components (TV not included). The removable back panels have openings for cables, making it easy to connect your components together while maintaining a clean, uncluttered look. Ventilation louvers ensure air moves freely throughout the cabinet, keeping your components cool even with the doors closed. The low-profile feet have hidden levelers, and the entire cabinet can be wall-mounted. 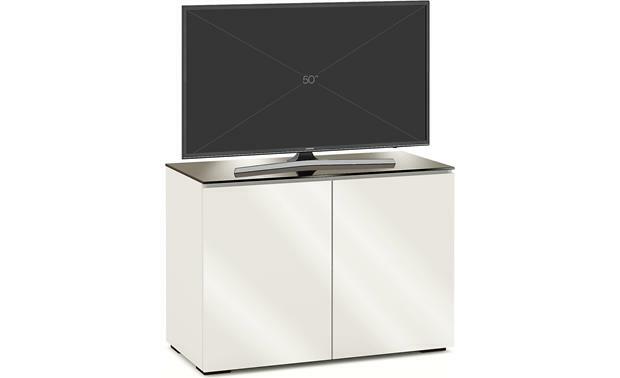 Searches related to the Salamander Designs Chameleon Collection Miami 323 A/V cabinet for TVs up to 50".